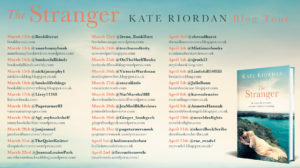 I’m so pleased to be taking part in the blog tour for The Stranger by Kate Riordan today. I loved her last book, The Shadow Hour, so this one was a must read for me. My review is a little further down this post and I’d like to thank Jenny Platt from Penguin Random House for asking me to take part in the tour and for providing a review copy via Netgalley. 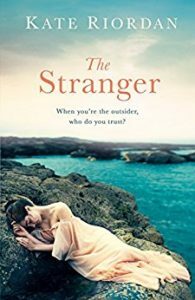 The Stranger is available now in ebook and hardback. The tagline “In a house full of strangers who can you trust?” is perfect for this book. Three land girls are thrown together at Penhallow Hall in Cornwall, thrust into a house with secrets and sadness at the heart of it. Rose, Diana and Jane are complete opposites in every way and have to learn to live with each other. I found The Stranger to be a fascinating and enthralling read, pretty much unputdownable. Rose was my favourite character and somehow her story seemed to me to be the most prominent one, even though Diana is by far the more memorable character. Rose is pleasant and kind, but unfulfilled. She remembers a holiday half a lifetime ago which has shaped the whole of her life since. Diana is much younger than Rose and very damaged, the sort of woman who causes trouble wherever she goes, stirring up things that are best left alone but somehow always getting away with it. And Jane, well there’s more to Jane’s presence at Penhallow than meets the eye, but I shall leave it for you to find out her story for yourself. The whole setting in this book is crucial to the storyline. The brooding house, the pirates coves, the small village setting, the boathouse. All of these add a gothic feel to the story and it’s hard to imagine the author setting it anywhere else but Cornwall. It’s not a book with a clear beginning to end story, more a slice of life, a snapshot of a time in 1940 when three Land Girls shook up their own lives and those of the inhabitants of Penhallow Hall. The descriptions are simply beautiful, there’s a sense of foreboding throughout and I could feel thunderclouds gathering, building up to the end. The author uses a clever device to tell us what Diana is up to by the use of a diary. This meant that Diana’s inner thoughts were revealed only to the reader, not to the other characters. I witnessed Diana wreaking havoc and taking great delight in it with a sense of apprehension all the way through the story and it certainly posted a moral dilemma to me: could I forgive Diana because I knew what she had gone through in her past, or was her nasty streak just part of her personality? I’m still a little undecided. The Stranger is atmospheric, intense and full of drama. It has quite a melancholic feel at times, an underlying sense of sadness, but it’s wonderfully observed and had me totally hooked. The writing is just lovely and I found it to be a fantastic read. Kate Riordan is a British writer and journalist. 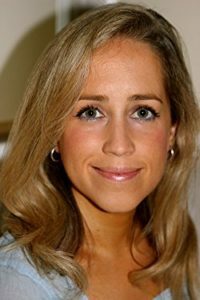 After working on staff at the Guardian and Time Out London, she left the capital and moved to the Cotswolds in order to concentrate on writing novels. Published by Penguin, HarperCollins and Heyne, she’s currently writing her fifth book. Love the sound of this novel. Lovely review. I have a copy of this and really looking forward to reading it. Thanks, Joanne. I think you will like it.